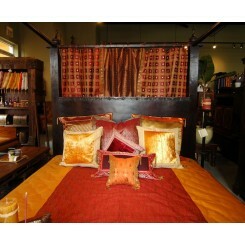 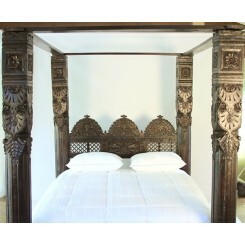 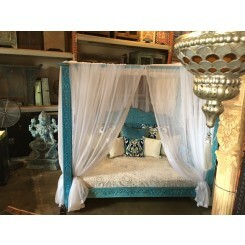 Travel back into a royal era with our Canopy Beds, hand crafted by master artisans from Rajasthan, India. 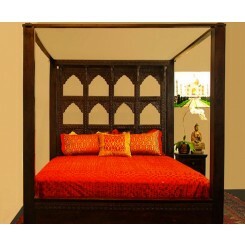 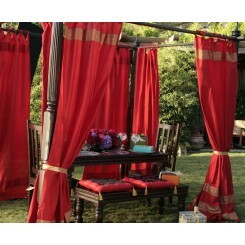 Unwind in a Jhula Canopy Bed, with a headboard inspired by the swings of the Maharaja's court. 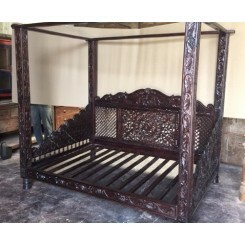 The Lotus Pillar Canopy Beds have a hand carved symmetrical Mandala in the center, a spiritual symbol of iconic beauty and purity. 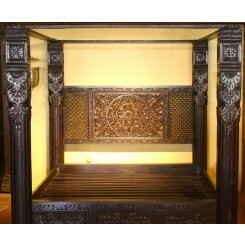 The carved wooden pillars and cross beams are fashioned in the traditional Indian style of carving, featuring artwork that is integral to Indian culture and passed through generations. 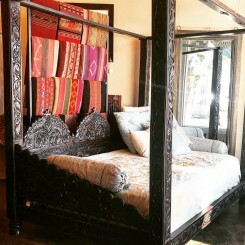 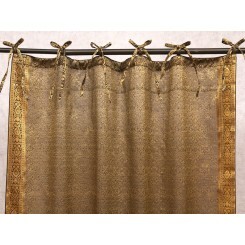 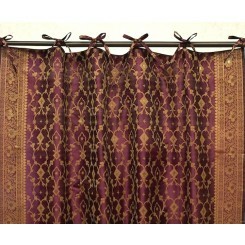 Decorate your four poster bed with richly embroidered Sari Curtains or consider using our solid Curtain Panels with intricately embroidered trim to make your bed a sanctuary.